What Happened Along the "Trail of Tears"? Chiefs, head-men and warriors! Will you then, by resistance, compel us to resort to arms? God forbid! Or will you, by flight, seek to hide yourselves in mountains and forests, and thus oblige us to hunt you down? Remember that, in pursuit, it may be impossible to avoid conflicts. The blood of the white man or the blood of the red man may be spilt, and, if spilt, however accidentally, it may be impossible for the discreet and humane among you, or among us, to prevent a general war and carnage. Think of this, my Cherokee brethren! I am an old warrior, and have been present at many a scene of slaughter, but spare me, I beseech you, the horror of witnessing the destruction of the Cherokees. Do not, I invite you, even wait for the close approach of the troops; but make such preparations for emigration as you can and hasten to this place, to Ross’s Landing or to Gunter’s Landing, where you all will be received in kindness by officers selected for the purpose. You will find food for all and clothing for the destitute at either of those places, and thence at your ease and in comfort be transported to your new homes, according to the terms of the treaty. The Cherokee nation hereby cede, relinquish, and convey to the United States all the lands owned, claimed, or possessed by them east of the Mississippi river, and hereby release all their claims upon the United States for spoliations of every kind for and in consideration of the sum of five millions of dollars to be expended, paid, and invested in the manner stipulated and agreed upon in the following articles. Only three to five hundred Cherokee followed Ridge. He argued that removal was inevitable, that the state of Georgia, with the active assistance of the Jackson administration, would succeed in claiming all of their land. Jackson's dismissal of the Cherokee victories in the Supreme Court was, for Ridge, proof positive that there was no alternative to removal. All that remained was to negotiate the terms. Most Cherokee, led by John Ross, refused to accept this view. The land was rightfully theirs. They had made rapid progress in "civilizing" themselves. 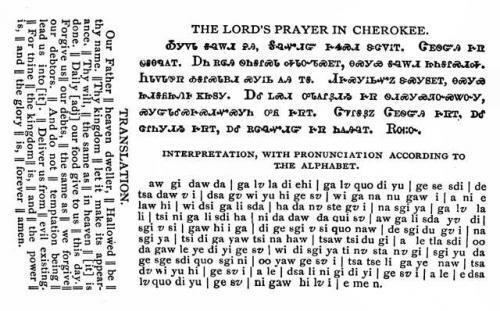 They had drafted a constitution, adopted a written language in which virtually all Cherokee were literate, and many had become Christian. They were, in their own eyes, so clearly in the right that they could not accept the necessity of removal. Ridge, however, was correct. The Cherokee had to leave their lands. In his letter of May 10, 1838 Scott grimly told Ross' followers: "My troops already occupy many positions in the country that you are to abandon, and thousands and thousands are approaching from every quarter, to render resistance and escape alike hopeless." Every possible kindness, compatible with the necessity of removal, must therefore, be shown by the troops, and, if, in the ranks, a despicable individual should be found, capable of inflicting a wanton injury or insult on any Cherokee man, woman or child, it is hereby made the special duty of the nearest good officer or man, instantly to interpose, and to seize and consign the guilty wrench to the severest penalty of the laws. What went wrong? Perhaps the fullest and fairest account of what actually happened was written by a private in Scott's command, John Burnett. He wrote his Birthday Story of Private John G. Burnett, Captain Abraham McClellan’s Company, 2nd Regiment, 2nd Brigade, Mounted Infantry, Cherokee Indian Removal, 1838-39 in 1890, on the occasion of his eightieth birthday, for his children. Burnett had spent part of his boyhood hunting with Cherokee friends and learned their language. His anguish, more than fifty years later, was palpable. You can ask students to compare Scott's letter and general order, statements about what should have happened, with Burnett's narrative of what he saw. Since soldiers do not, and did not, routinely ignore general orders, the vast discrepancy they will uncover calls Scott's sincerity into serious question. The fact that the army did not investigate what happened on the "trail of tears" also suggests that the general order was never supposed to be taken literally.